Hippie Blog "If a tree falls in the woods, and there's no one there to hear it, how will the Environmentalists react?" Next time you start up your car, think about this a little bit. Many people don’t know that Canada is leading supplier of oil to the United States. Because of some advancements in technology, sand and dirt, inundated with oil can now be extracted and refined and thus, sold. 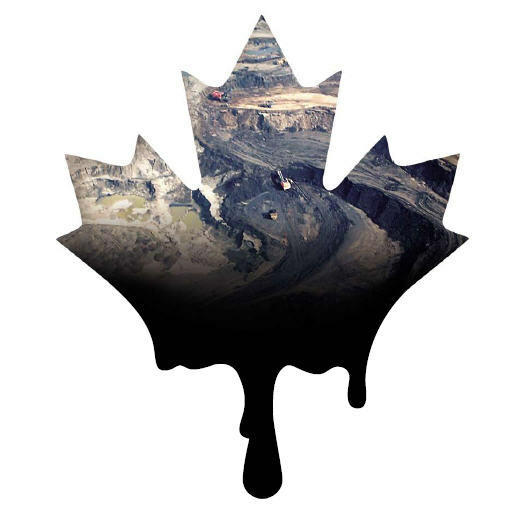 Twenty per cent of American Import is Canadian Dirty Oil. It’s called Dirty Oil (or Difficult Oil) because in the past, this oil was near impossible to refine. Also, it isn’t environmentally sustainable for the local plants and animals. Oil sands need to drudged up as it lies very near the surface. The pure oil, the oil that could theoretically be drilled, is way too far below the earth’s crust to be sustainably refined. The Athabasca-Wabiskaw oil sands of north northeastern Alberta, the Cold Lake deposits of east northeastern Alberta, and the Peace River deposits of northwestern Alberta amass an area larger than that of England. This is a problem because the effort that it takes to collect and refine the oil so energy consuming that the product (the usable oil) comes no where close to equaling the energy expelled. Watch the video below for some more information. If you’d like to help in anyway, Greenpeace orchestrates demonstrations and pledges here. The protest of oil is a costly one. It’s not like boycotting kit kat bars where you can just stop buying them. Unfortunately, North America leans on crude oil so much that if we were to cut it out all together, we’d collapse. But, that doesn’t mean that the Canadian government should be so irresponsible in the treatment and expenditures of such a wasteful process. But, yet again, too many politicians see money and not worth. Here’s some BP fan art. The life of a factory farmed chicken.